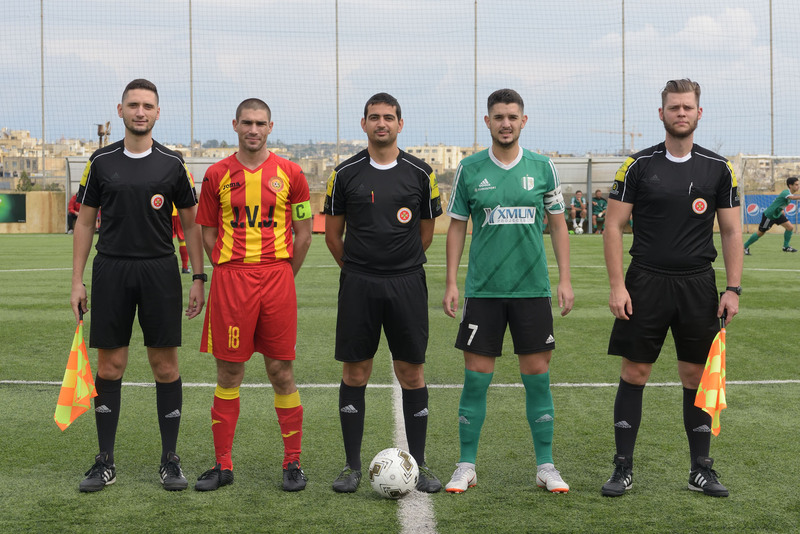 Brignoli, C. Mercieca, S. Sultana, J. Theuma (R. Zammit), R. Duric, C. Azzopardi, J. Grima, D. Micallef, C. Farrugia (A. Xiberras), M. Zerafa (C. Cauchi), L. Attard. Mercieca, S. Mizzi, N. Micallef, F. Camilleri, J. Buttigieg, J. Zammit, E.R. 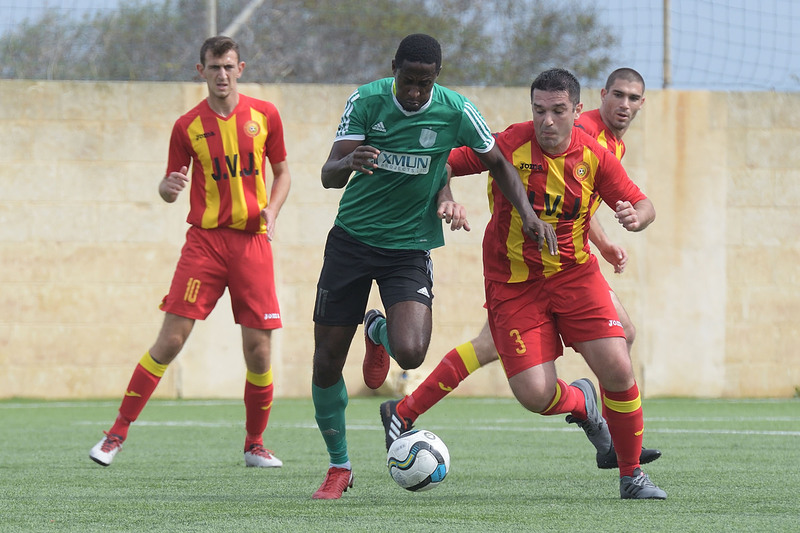 Okpokwu, E. Gauci, M. Mifsud, C. Tabone (S. Azzopardi), F.J. Xuereb. 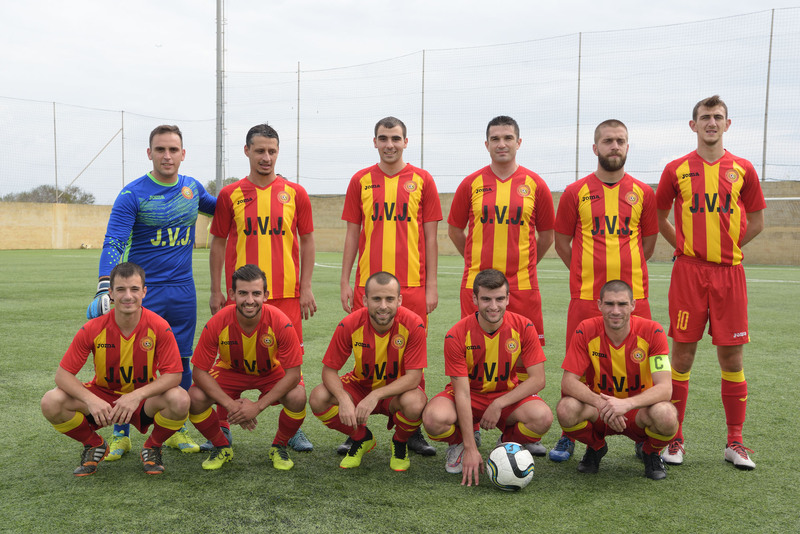 Sannat Lions obtained a 2-0 win over St Lawrence Spurs with goals that arrived near the end of each half. Sannat were the better side throughout the encounter and could have put their minds at rest at an earlier stage during the match. 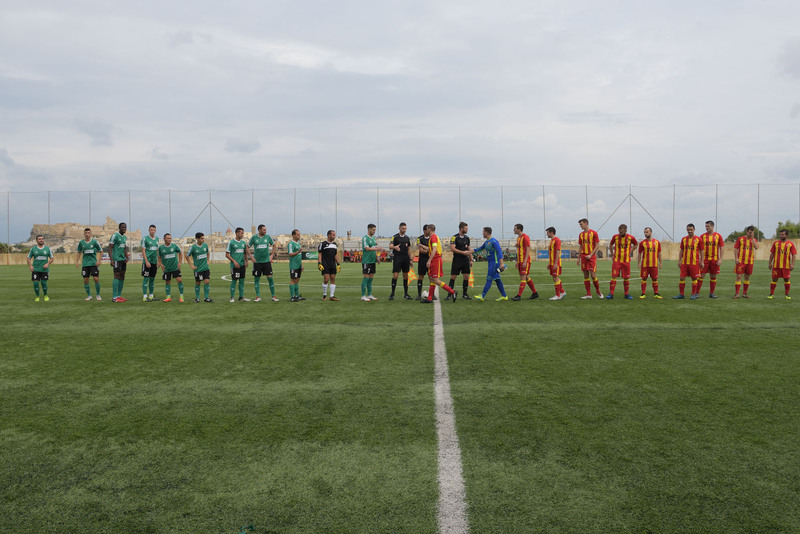 Sannat confirmed their ambitions to be among the challengers for promotion and in this match against St Lawrence they were well organized at their defense where they conceded little opportunity to St Lawrence’s strikers to create danger. Moreover, Sannat were continuously dangerous particularly through their main striker Ebube Ralph Okpokwu who scored the two goals that decided the issue. The Spurs once again disappointed and despite the fact that they have the potential to be among the top teams they lack effectiveness in attack as they find it extremely difficult to conclude their play into scoring opportunities. Sannat came out more aggressive thsan their opponents and in the second minute of play they could have opened the score but a close ranged shot by Ebube Ralph Okpokwu was saved by goalie Angelo Brignoli with the aid of the crossbar. 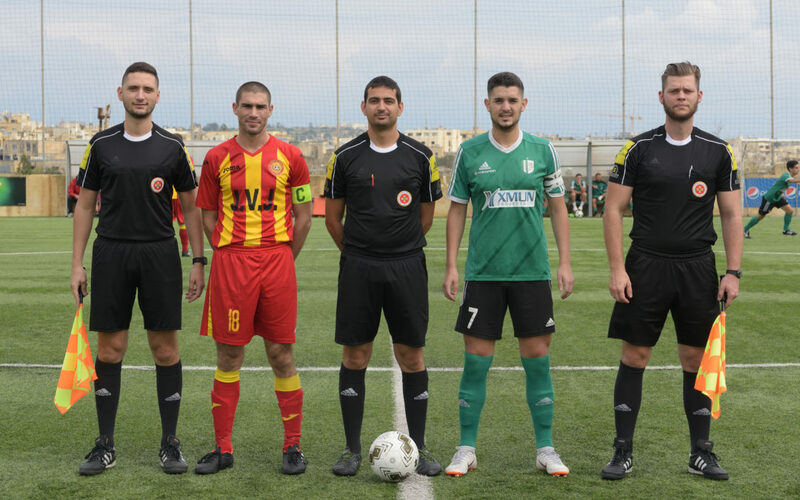 On 5 minutes the same striker had an attempt that was stopped byt eh crossbar and on 11 minutes a shot from outside the area by Sannat’s Joseph zammit ended just wide. The Spurs replied on 25 minutes through a free kick by Radovan Duric that was well saved by goalie Courtney Mercieca and three minutes later Sannat were again dangerous through a heasder by Nicholas Micallef following a corner kick by Eric Gauci that wide. Sannat however took the deserved lead on 44 minutes through a low shot by Ebube Ralph Okpokwu that defeated goalie Angelo Brignoli following a wrong clearance by St Lawrence’s defense. St Lawrence’s reaction after the break was sterile as Sannat were well deployed and operated more danger in their offensive play within St Lawrence’s territory. On 57 minutes Sannat had a good opportunity to double the score but an attempt by Charlon Tabone from a good position ended just wide. For most of the time during the seond period play took place in the midfield and the two goalkeepers were not called to make difficult interventions. On 75 minutes Sannat’s Ebube Ralph Okpokwu hit badly from a good position so that goalie Angelo Brignoli saved without difficulty. Sannat were almost punished for not scoring the second goal as the Spurs operated a counter break on 78 minutes, Luke Attard entered Sannat area and came face to face with the goalkeeper but St Lawrence’s player had his first attempt blocked by goalie Courtney Mercieca and form the rebound the same Attard had his attempt saved to a corner by the keeper Mercieca. On 85 minutes St Lawrence’s goalie Angelo Brignoli was well placed to neutralize an effort by Charlon Tabone following a cross by Ebube Ralph Okpokwu and on 87 minutes Sannat practically made sure of the win when Ebube Ralph Okpokwu took the ball from St Lawrence’s defense, turned around a defender inside the area and placed in goal, with a curling shot. Sannat could have increased their lead in the remaining minutes. On 88 minutes St Lawrence’s keeper Angelo Brignoli left his area in time to clear the ball from Ebube Ralph Okpokwu who was heading alone towards an open goal and on 89 minutes the same keeper made a difficult intervention to turn to a corner a strike form the edge of the area by Eric Gauci. 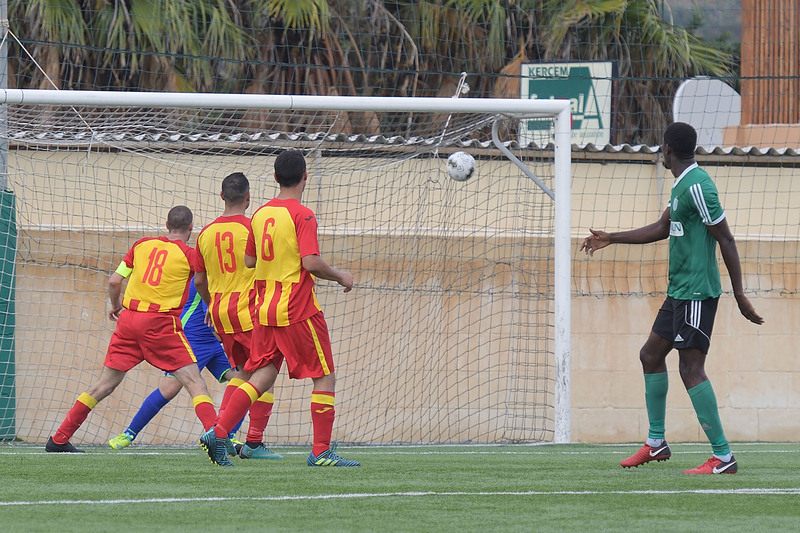 In the third minute of stoppage time Sannat were again denied form the third goal with a fine save by St Lawrence’s keeper Angelo Brignoli following an attempt by Joseph Zammit so that the score remained unchanged.